Jim Duncan on Leadership gives a birds eye view into what has made Jim a successful leader. 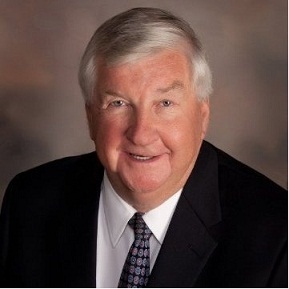 A Leadership and Management Consultant, Jim is a retired Executive Director of the Memphis Botanic Gardens and former Division President of Smith and Nephew. "Jim Duncan on Leadership" is full of words of wisdom from a leader who has served in leadership positions in For-Profit and Not-for-Profit entities. Please read on to hear what Jim has to share. As it relates to leadership, who has impacted you the most? The person who was the most influential in my early years was my high school football coach, Bill Davis, who was also my Sunday school teacher. I grew up in a single parent household with no dad around so being one of his “boys” had a very positive influence on my values and my overall behavior. As a side, I delivered the eulogy at his funeral. After college, I also became a high school coach and was on principal George Griesbeck’s faculty at East High. Mr. Griesbeck was a transactional leader and ran his school with established policies and procedures. Learning how to do it the right way had a positive impact on my development. After seven years of coaching I entered the business world as a sales representative with the Mead Johnson Division of Bristol Meyers. After four years I was promoted to a District Manager position in Kansas City and was fortunate to have as my direct supervisor, Mick Adamson, who was a strong transformational leader and one who was a great and “hard nosed” teacher of management principles. I learned how to manage with effectiveness. And last but not least, my wife of fifty years, Elizabeth. She is also my best friend, greatest supporter and also serves as my “doing right things” filter. Please compare Transactional vs. Transformational Leadership? There’s a lot of blending. A leader must determine the status of the organization she/he has been picked to lead. If things are in order, objectives accomplished, morale is good, perhaps Transactional style is best. But if the situation is negative and trends are in the wrong direction, leaders have to be more assertive in developing new ideas and new techniques while adhering to good management discipline. A Transformative style fits best in this situation. The shortfalls are that Transformational leaders can fall into a trap of too many ideas and being guilty of establishing an “idea of the week mentality.” When this happens the organization loses focus and stays confused on the actual targets. Morale and confidence in the leadership suffers. Conversely the Transactional leader can stay in the “status quo” mode too long and lose focus because the organization is not assertive enough. The perception of just “slogging along” prevails and motivation and morale suffers. Effective leaders blend and find the correct balance of being both a Transforming and a Transactional leader. Balance is the key. What is required to lead transformations in an organization? For profit vs. Not-for-profit? First thing and this is true for both, the members of the organization have to believe in the mission and goals of the organization. These goals and mission must be realistic and viewed attainable. If members of the organization do not believe these goals are achievable, failure is the future. Belief is paramount because it drives behavior that gets desired results. Make sure people believe in the mission/goals. When that happens, a positive attitude about the mission/goals is formed. This positive attitude motivates and drives the behavior necessary to achieve the desired results. Positive results are then achieved from these positive behaviors. What has influenced your views of change and transformations? Realizing that I had the courage to try new things and that I could accept the outcome whether it was success or failure. Courage to take risks and accept responsibility in transformational leadership is paramount. Recognizing there are different personality types, motivations and values. Leaders must lose the “one size fits all” mentality and blend the organization to insure that the differences come together to work for a common purpose. The Bible is full of leadership examples and reinforces Drucker’s “doing right things” premise. Jack Welch’s book “Winning” is a great study in Transformational Leadership and it is a fun read as well. Probably the best book on management and leadership that has been written, in my opinion, in the past twenty five years is Tom Peters’ book, In Search of Excellence. Peters cuts through to what is actually important in an organization’s success. Currently John Kotter, is a hot author especially in Transformational and Transactional leadership. It is important to be aware of other people’s ideas and the quickest route to a leader’s demise is the “I know it all” mentality. Jim Duncan on Leadership was a joy to write. As you can see, Jim Duncan is a remarkable leader with lots of wisdom to share. Jim, thank you for sharing your insights with us here at Leader Who Leads. Do You Know Jim Duncan? Have you had the priviledge of working with Jim Duncan? If so, please share how his leadership has made a positive impact on you personally and professionally. In addition to reading "Jim Duncan On Leadership", please take a look at "The Mustard Story". It is really quite brilliant!